A popular Leith tapas bar and restaurant will trade for the very last time today. Serrano & Manchego announced it will be closing its doors from tomorrow in a Facebook post published this afternoon. Speaking from his base in the Dominican Republic, restaurant owner Hector Lazcano revealed that 12 jobs will be lost as a result of the closure, which he says is mainly down to increasing food and labour costs. 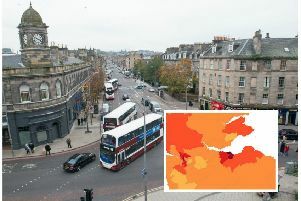 He said the focus will now shift to his other business interests in Edinburgh, including nightclubs El Barrio in Hanover Street and The Shack in Rose Street. Mr Lazcano added: "The nightclub trade is a lucrative trade, and I just think with what's coming with Brexit and the possible economic impact, I would prefer to focus on our core strengths. "Twelve jobs will be lost, but we are going to try and re-position staff where possible." Mr Lazcano said the situation at the restaurant had been worsening over the past two years, and that finding suitable staff became increasingly difficult. As an authentic restaurant located halfway down Leith walk, all of Serrano & Manchego's ingredients were sourced from Spain to provide customers with a real taste of the country. Patatas Bravas and Chorizo Al Vino were among some of the house favourites at the eatery, which has been running for nearly four years. This afternoon's Facebook post read: "We like to express our gratitude to our Leith Walk and Edinburgh-wide customers who supported us over the years. Please continue supporting your local businesses. The business will be marketed by Barry McNeil of Cornerstone Business Agents and we hope to find a new buyer soon. Many thanks to you all." More than 100 people have since left comments expressing their sadness about the closure. One Facebook user, Jillian Robb, wrote: "Very sad to hear this, having only recently discovered this wee gem of a place, it was the best tapas I've had in ages."